In a previous article ("One down..."), I told you that I had discovered (from the response to my article just before that one) that even when I wasn't writing about cables, cables were what people seemed to comment on and that, having learned my lesson, I would therefore do a series of articles on how cables work (not DO they work; everybody - even the trolls -- knows my position on that issue already). By way of introducing that subject, I said (in "One down...") that, as far as the conventional Electrical Engineering position on cables went, there were really only four significant factors to be considered: Resistance (R), Inductance (L), Capacitance (C), and Characteristic Impedance (ZO), and I went on to say that "...there are a great number of other things that also affect cable performance and, even of just the four given (R, C, L, and ZO), two are, FOR MOST AUDIO APPLICATIONS, of lesser significance than the others and one may make absolutely no difference at all!" Those two "less significant" factors are, for the record, R and ZO, and of the two, the one that can be of no importance at all is ZO. In the article "One down...", I tried, apparently with some success, judging by your comments, to show you that resistance is of little practical importance in audio cable design. 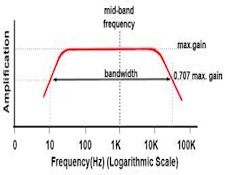 Now, in this article, I'm going to attempt to do the same for Characteristic Impedance. Before I go any further, though, let me define what I will mean when I refer to cables for "audio applications". 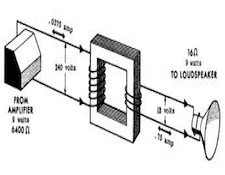 Those are interconnects and speaker cables of , at most, the maximum lengths likely to be encountered in a home audio or Home Theater system (typically just 1 to 3 meters long, and rarely, if ever, over 50 feet [=15.24 meters]), and they will have been designed to operate at frequencies which are either in, or are reasonable harmonics of, the normal audio range - that being, for purposes of this article, DC (= 0 Hz) to about 80 kHz (the fourth harmonic of 20kHz, which is the frequency generally accepted as the upper limit for normal human hearing). Because so much of the modern audio experience is, at least at one point, digital, I'll also touch on digital and/or video cables, even though, because of the transfer rates or frequencies of digital or video signals, they should more rightly be considered RF than audio applications. If you really want to read about it, there's a whole lot of information about characteristic impedance on the internet. For purposes of home audio, though, a thorough grounding in it really isn't necessary. What IS necessary is to understand that Characteristic Impedance (from this point on, I'm just going to call it "ZO") is about matching identical source and load impedances at the two ends of a signal path with a cable of the same ZO, and about what happens (stated as simply as possible, wherever possible), IF IT'S POSSIBLE TO DO but you DON'T do it. 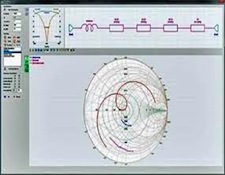 In the case of a perfect match, an AC signal of whatever frequency will be "transmitted" (hence the terms "Transmission lines" and "Transmission Line Theory") perfectly along a transmission line as if that line were infinitely long: Signal will just pass through as if it could keep on going forever and it will never "bounce" back. When the impedance match of all three elements (source, load, and cable) ISN'T perfect, though, BUT OUGHT TO BE, the signal acts as if the transmission line has an end to it and, hitting that "end", the signal (or at least a part of it) is reflected back toward its source, and can produce cancellations or standing waves or both, which can appear as black lines, "dropouts" or their equivalent on video or digital signals, or as high frequency losses or garbling if in the audio range. For most audio applications, impedance matching - ZO -- isn't an issue, for the simple reason that THERE'S NOTHING THERE TO MATCH!